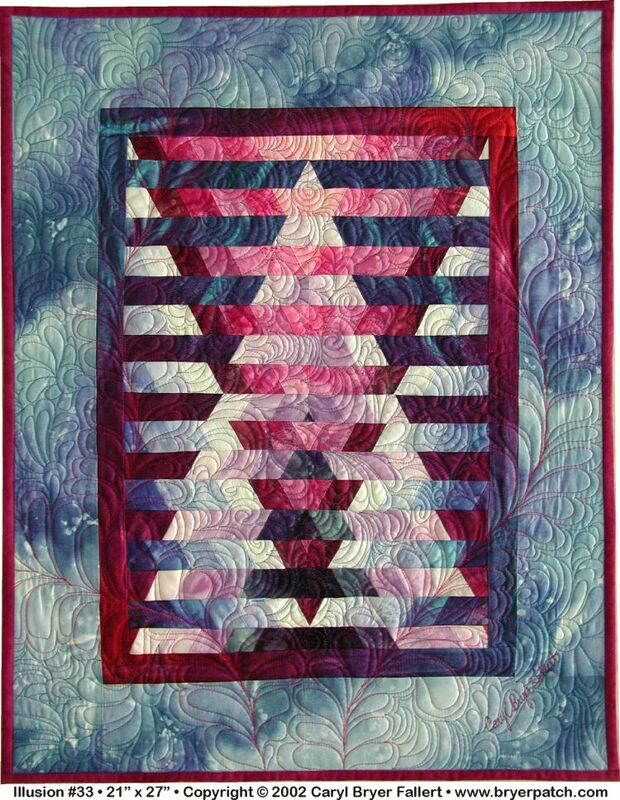 Pattern for this style of quilt and a complete workshop on CD-ROM is available in our internet store. 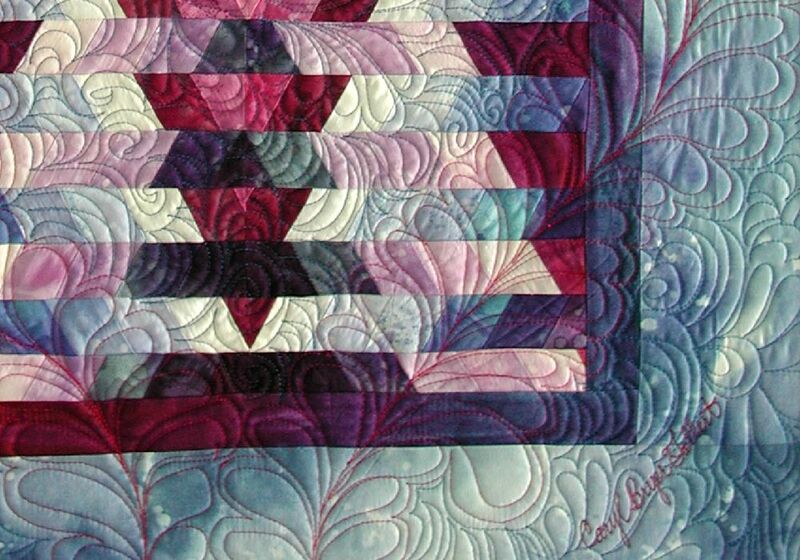 This is one of a series of quilts, exploring the illusion of overlapping transparent triangles. 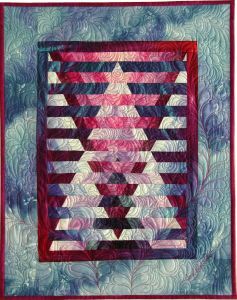 The triangles were pieced from strips of print fabric arranged in six shade gradations. 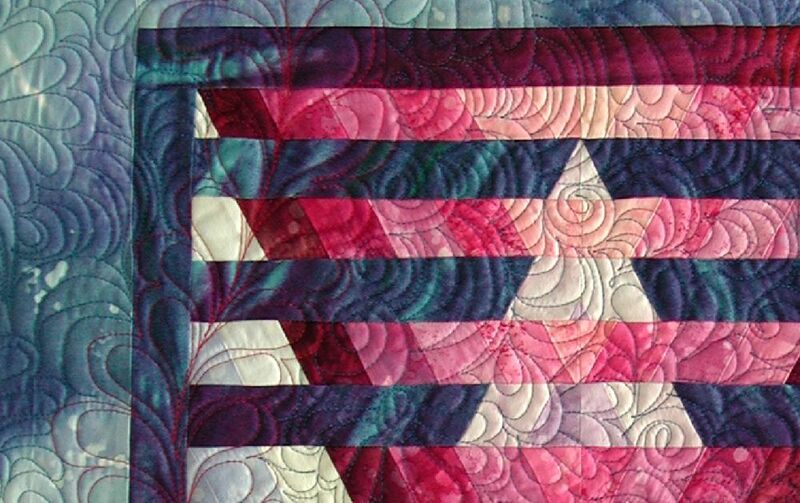 A blue print fabric from Caryl's Splash fabric collection for Benartex is used in the border. 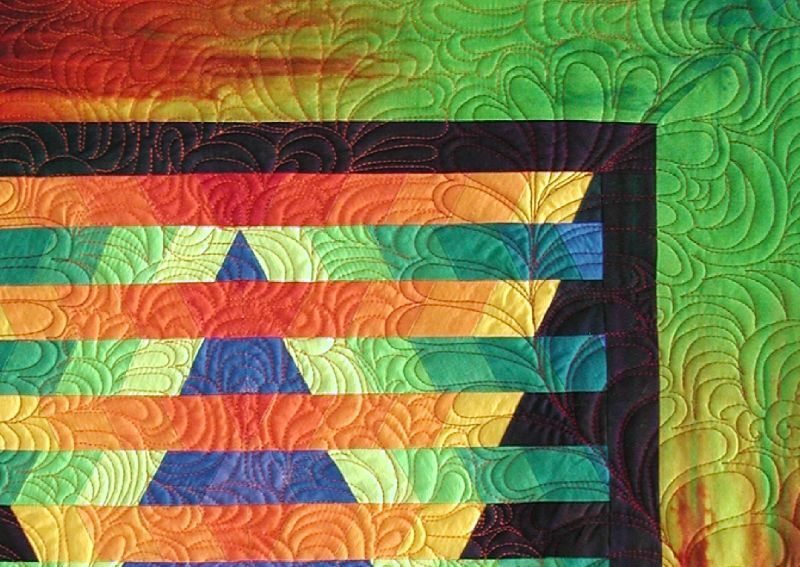 In contrast to the geometry of the pieced quilt top, all of the quilting is done in swirling, free-motion, organic patterns.